Their 2018 purchases of the yellow metal were the second-highest on record and up nearly three-quarters from a year ago. But this isn’t a speculative punt on prices rising. Instead, it’s a logical precaution against rival currencies and U.S. self-harm eroding dollar dominance. FILE PHOTO: An employee of Deutsche Bundesbank tests a gold bar with an ultrasonic appliance during a news conference in Frankfurt January 16, 2013. 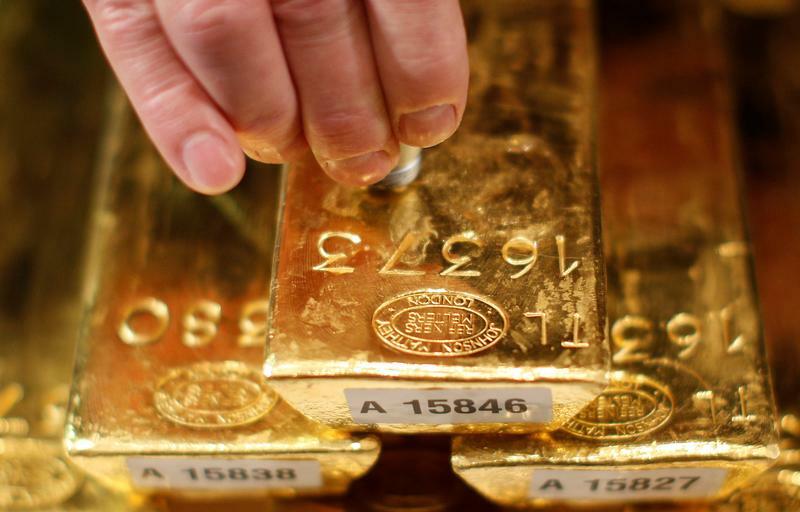 Central banks bought 651.5 tonnes of gold in 2018, up 74 percent from the year earlier, the World Gold Council said on Jan. 31. This is the second highest annual total on record, as countries including China and Poland joined Russia, Turkey and Kazakhstan in adding to their reserves. The U.S. dollar's share of currency reserves reported to the International Monetary Fund fell to a near five-year low in the third quarter of 2018, while the euro's share of reserves grew to its largest in almost four years, according to data released on Dec. 28. The proportion of allocated reserves held in U.S. dollars fell in the third quarter to 61.9 percent, its lowest since the fourth quarter of 2013 and down from 62.4 percent in the second quarter, IMF data showed.